4 Students and other readers should note there is no such word as 'thrip'. cated near the wing margins (but if so then prothorax exceptionally long and slender). 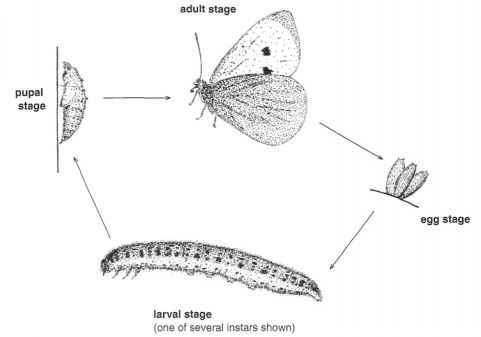 Larvae elongate, with biting mouthparts; head and prothorax large, both strongly sclerotized. Pupae naked, i.e. pupation occurs without forming a cocoon. Includes ant-lions (family Raphidiidae) but no economically important predators of agricultural significance.